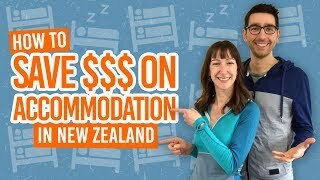 What to do in the Kiwifruit capital! Just a 25-minute drive from Tauranga lies the fertile lands of Te Puke, better known as the Kiwifruit Capital of the World and they’ve got the giant kiwifruit to prove it! 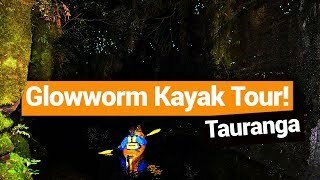 Of course, there is a kiwifruit park where you can learn more about the fruit, but beyond that, Te Puke has a lot of amazing activities to offer! Te Puke is ideally located in between a coast of sweeping beaches and hills full of tramping tracks. Find your perfect adventure in this list of things to do in Te Puke! While you’re in the area, don’t miss the nearby attractions that we list in 7 Awesome Things to Do in Papamoa and 10 Free and Cheap Things to do in Tauranga and Mt Maunganui. 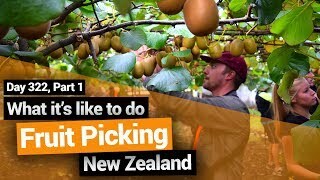 Plus, if you are travelling New Zealand on a working holiday, Te Puke is the perfect base to find some seasonal work in the kiwifruit industry! Let’s start with Te Puke’s wild side! The Otanewainuku Forest is packed with stunning natural features, from breathtaking viewpoints to wonderful waterfalls. 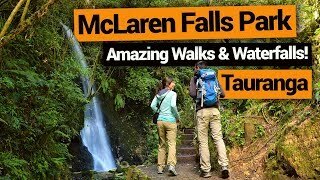 Climb the Otanewainuku Summit Track (1h30min loop) to reach a summit tower providing epic views from the East Cape all the way inland to Mt Tarawera. There’s also a 1-hour one-way walk to Wharetoa Falls which is also great for a swim. Finally, the Rimu Loop Walk (45-minute loop) is an easy-going bush walk. Location: 30-minutes drive south of Te Puke. Take the No 2 Road south of Te Puke and onto Mountain Road where there is a shelter and car park. 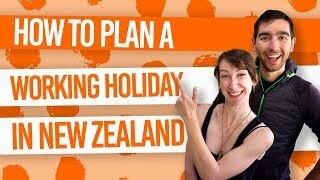 How often are you going to be in the Kiwifruit Capital of the World?! Prove to all your mates that you have, indeed, been to the kiwifruit land of Te Puke by getting a photo with the giant kiwifruit at Kiwifruit Country. If that wasn’t enough, you can even jump onboard the Kiwi Kart to learn more about the kiwifruit-growing industry on a 40-minute tour. Check out more giant sculptures in our 22 BIG Things in New Zealand. Location: 316, State Highway 33. Only 15 minutes away from Te Puke, Maketu is an awesome seaside escape with great surf and swimming. While the stunning beach and its beachside activities are a fun attraction of Maketu, the town’s biggest claim to fame is the Maketu Pies! While you’re in the are, drive up to Okurei Point for some sensational coastal views. Plus, Newdicks Beach is a rugged beach that’s great to explore. Location: 15 minutes drive from Te Puke. Take State Highway 2 east and turn down Maketu Road. Yes, there are more beaches to discover close to Te Puke! Pukehina Beach is essentially a sandspit stretching 10km along the Bay of Plenty coastline. It’s backed with idyllic holiday homes, as well as a few cafes and takeaways to grab something for the beach. There’s surf all the way along the beach, but the best spots tend to be at the northwest end of the beach. Surfcasting is also super popular at this beach, so try your luck at Dotterel Point where there are lots of reefs attracting fish. Location: 20-minute drive from Te Puke. Take Te Puke East Road (State Highway 2) and turn onto Pukehina Beach Road. For some easy-going walks among native trees and open farm paddocks, head to Roydon Downs. There are a number of short farm and bush walks with a mix of things to see! Location: 20 minutes drive from Te Puke. Just south of Paengaroa off State Highway 33. Kiwifruit is not the only sweet thing produced in Te Puke. Visit Experience Comvita for guided tours teaching you all about the world of the honeybee. The area around Te Puke and Paengaroa is surrounded by flowing bush which is perfect for producing some of New Zealand’s most popular honey, manuka! Learn how bees make honey and the honey’s healing properties. Location: 10 minutes drive from Te Puke. 23 Wilson Road South, Paengaroa. If you know anything about golf, then you’ll know that New Zealand has some world-class golf courses. If you don’t know anything about golf, let the Te Puke Golf Club show you why golf is the highest participated sport in New Zealand. The Te Puke Golf Club is a fine example of golfing in the Bay of Plenty with its undulating fairways lined with trees and water features. The course is often said to be the best laid out course in the bay. Location: 10 minutes from Te Puke. 947 State Highway 2, Paengaroa.